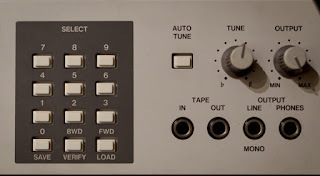 Akai VX-90 is a rackmount (2U) version of the Akai AX-73 - a very nice six voice polysynth from 1986 and it has to be one of the last vintage analogs with real VCOs. Synths were already going digital at that time, and even analogs had DCOs (or even digital oscillators as in the Korg's DW-series). Analog was pretty dead in the late eighties and that's why these fine Akais were not that popular. 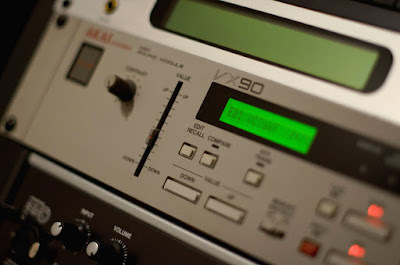 The Akai VX-90 was sitting in my rack for about two years before I actually used it in a song. But wow, it really fits in the mix! I was trying to get inspired with a Waldorf Blofeld (digital synth) to complete some ideas on a piece with no luck. You know, scrolling through hundreds of presets for anything interesting.. 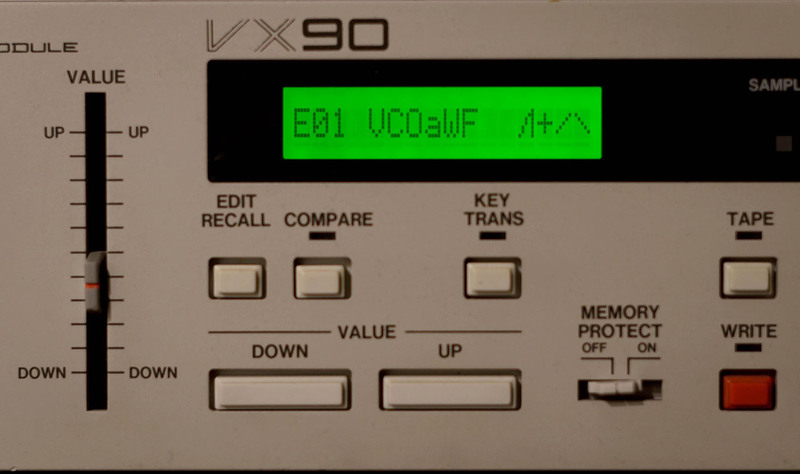 But I got bored and thought, well, maybe I should try the VX-90. I turned it on and there it was, interesting sound character at last! Didn't take that long to have those ideas going on even with the simplest sounds. 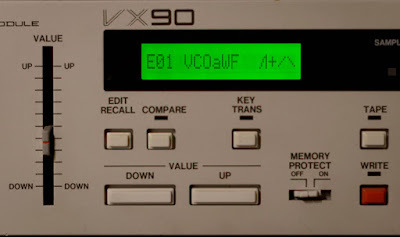 Well of course it wasn't the first time I played the Akai VX-90. I had even done some sound programming with it but hadn't tried using it in a song. I've always liked the overall sound - quite basic but lovely. Still, you can get some not so basic patches done if wanted. The filter is good and starts howling already in pretty low resonance settings, and it can be modulated with the VCO for more nasty things! You can also play all the six oscillators in dual mode or stack one huge unison. I can see why this synth could be pretty good for some techno or even more aggressive stuff. For me the bass is getting somewhat weaker in the low department and this needs to be compensated for very powerful bottom end. There's still enough character for good basses though. You can get nice pads but not as easily as in some Roland JX synth. The onboard stereo chorus is not so distinctive as in the Rolands, but it's nice anyway. I usually disagree with people saying that this and that synth is easy to program with the menu driven editing system. But now I have to say that the Akai VX-90 is not so bad at all! If I don't get frustrated in editing it, it has to be pretty convenient. There's some buttons and a value slider which can tweak any given parameter, but something like the filter cutoff can be programmed to the pitch bender which is good for realtime adjusting. 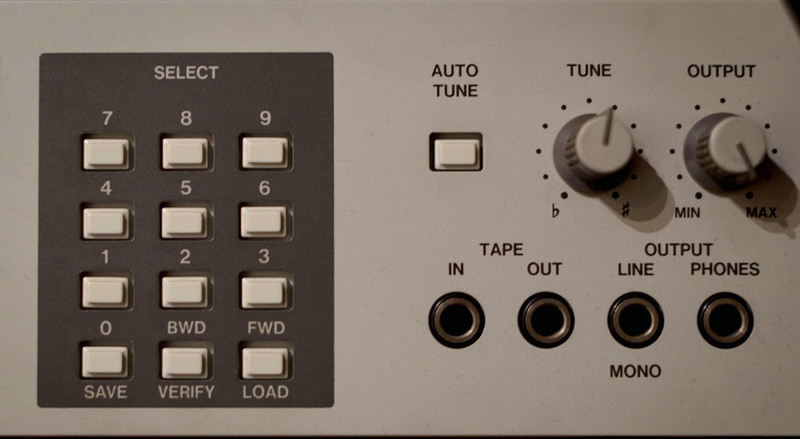 The Akai VX-90 is good to have around as it's analog and doesn't take much space. There's good and dynamic sound with MIDI control, stable analog signal all the way with auto tuning. No reason to get rid of this synth, except maybe the ugly beige design similar to the old Akai samplers... I think it's somewhat rare but still underrated too. Listen to the song I made using only the VX-90's sounds. External effects were used.